A life annuity provides regular payments that will continue for the rest of your life, no matter how long you live. When you die however, any money left in the annuity goes to the issuer, not your estate. The exception would be if you arrange an annuity which has a guaranteed payment period. Straight life annuity. This type of annuity is for an individual only, and provides you with the highest amount of income for each dollar of premium, in terms of monthly or annual payments. However, it only lasts for your lifetime, when the annuity payments stop, unless you have a guaranteed period. This type of plan might be suitable for people who have no dependents. Life annuity with a guaranteed period. This provides a guarantee that you or your beneficiary will receive back all of your investments plus full interest if you wish, even if you only live for a short time. Alternatively, you may have the guarantee period set up to provide income payments for a fixed time frame, such as five, 10 or 15 years from the start of payments to you, or until you or your spouse reach a certain age, e.g. 90. The longer the guaranteed period, the lower the payments. Joint and last survivor annuity. 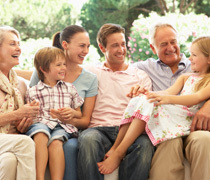 This annuity provides a regular income as long as either spouse is living. Payments can continue at the full amount to the surviving spouse, or they can be reduced by any stipulated percentage on the death of either spouse or specifically at your death. Selecting the reduction option will result in higher payments while both spouses are alive. Although this type of plan results in less income for each dollar invested in the annuity, to many people the additional benefits are worth it. Installment refund annuity. If you die before you have received as much money as you paid for the annuity, this annuity will continue income payments to your beneficiary until they equal the amount you originally paid. Cash refund annuity. In this annuity, rather than your beneficiary receiving continued income payments, as in the above example, they receive a lump-sum payout instead. Indexed life annuity. This provides for annuity payments that either increase each year automatically, from one to five percent for example, based on the return of a specified group of assets. Although this provides you with some protection against rising living costs due to inflation, it will also reduce your payments in the early years. Integrated life annuity. If you wish, you can integrate your Old Age Security (OAS) payments with your annuity. With this annuity, you would receive substantially increased annuity payments until age 65, at which time the payments will reduce by the maximum OAS entitlement at the time you purchased the annuity.